Fabulous flowers for a lucky lady! Send this joyful gem to lift a friend’s spirits, celebrate her promotion, or just let her know she’s special. 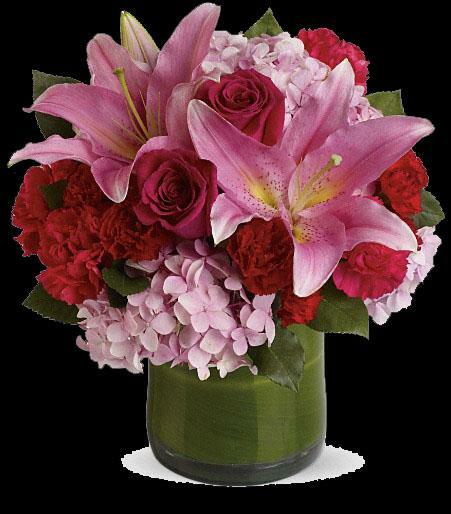 Fragrant oriental lilies, roses and hydrangea make this a fun, feminine favorite.